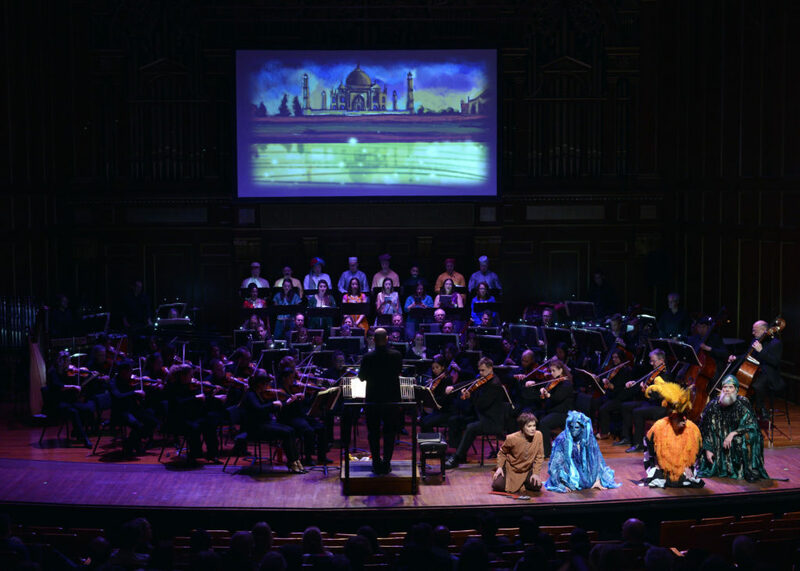 (Boston, MA) The opera Haroun and the Sea of Stories is based on Iranian author Salman Rushdie’s magical realism novel of the same title. This cast has an awful lot of white people in it for an allegorical opera set in the subcontinent of imaginary India. What an opera set in India about fictional Indians and their nonhuman, non-colonizer friends demands is actual Indians. Asian erasure is unacceptable in an art form bursting at the seams with underpaid, overeager POC* artists. Such casting means that disappointed POC audience members leave at intermission just like the lovely couple next to me quietly did on Saturday night. Opera is killing itself by failing to include the very people it seeks to serve with such casting decisions. Colorblind diversity-casting was acceptable 10 years ago (as the meme goes) because opportunities for POC were rare, but it is 2019. POC must be cast because they are the right artist for the job and because representation matters. People of color are not interchangeable. Modern opera with a living composer, librettist and source author are grand excuses to daringly cast an all POC-production (including the chorus) with artists that look like the characters portrayed. We creators must be mindful of our casting because audiences will remember even the smallest slights. This one’s big. This racism is a giant black spot on an otherwise exquisite production: Haroun has a charming score and libretto. The primary leads give us effervescent performances. The first half runs very long so wiggly kids will not have a good time but, as Rushdie’s novel is layered with sophisticated wordplay, non-wiggly kids and adults alike will. The projections and animations used in lieu of set design by Sally Dean Mello and Callie Chapman are beautifully done. Unfortunately, the racial appropriation makes all of this hard work impossible to enjoy. Members of the chorus need to look up. This includes the men who also doubled as secondary leads. There were exactly three women from the entire ensemble who looked up more than they looked down. Potential patrons who identify as disabled should note that NEC has a page devoted to accessibility. Resources are not detailed online but the office welcomes calls, Mon – Fri, 9AM – 5PM. This entry was posted in Opera and tagged 2019, BMOP, Boston, Boston Modern Orchestra Project, Charles Wuornin, Clive Grainger, Gil Rose, Haroun and the Sea of Stories, Iran, James Fenton, MA, magical realism, Salman Rushdie by Kitty Drexel. Bookmark the permalink.